After the recent acquisition of the M346 from the Emirates, the Italian company shows in the area the M345 as an integral part of a modern training concept. From February 19 to 23, Leonardo will take part in IDEX and NAVDEX at the Abu Dhabi National Exhibition Centre in the United Arab Emirates. The exhibitions are excellent showcases for Leonardo’s security technologies on land, at sea and in the air. The company’s history in the UAE dates back to the seventies in the fields of military pilot training and defence systems. Today, the Emirati Armed Forces continue to make use of Leonardo’s advanced technologies, which contribute to the security of the country. The UAE has chosen the MB-339 trainer jet for their national aerobatic team Al Fursan, with Emirati pilots were trained in Italy, using Leonardo aircraft and teaching systems, and the UAE has since selected the company’s M-346 trainer. The Middle East is a strategic market for Leonardo and its countries are looking long-term partners for the development of innovative security technology. This approach is behind the recent contract to supply the Eurofighter Typhoon to Kuwait, the largest contract ever taken by the company. Leonardo has also had notable success in the region providing helicopters, with 230 of the company’s AgustaWestland aircraft having been ordered by various Middle Eastern customers, and with the company providing comprehensive support services and training packages. In the aeronautics field, the exhibition will be a key opportunity for Leonardo to draw attention to the new M-345, a basic and advanced jet trainer aircraft also answering to multi-role requirements. The M-345 has the same low costs of acquisition and operation of a turbo-prop trainer, and provides pilots with a more authentic experience thanks to the performance of a jet aircraft. The aircraft flew for the first time on the 29th December 2016, and has already been ordered by the Italian Air Force (Read the story). 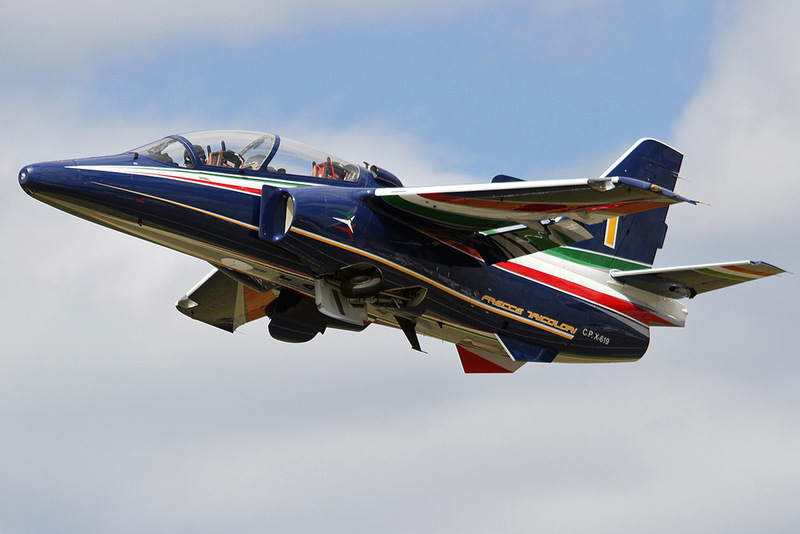 Drawing on the M-345 and its M-346 aircraft, Leonardo can provide an end-to-end training syllabus that prepares pilots to fly advanced fast-jet aircraft. This covers the basic and advanced training phases and LIFT (Lead-In Fighter Training). Leonardo is also the only company in the world to have developed, produced and made operational a fully integrated Ground Based Training Systems, includicn LVC, Live, Virtual and Constructive scenarios, allowing fully immersive training in realistic operational environments. Here, pilots flying in both simulated and real aircraft can participate alongside each other in the same training missions. Leonardo will also be highlighting the new version of its M-346, called M-346 Fighter Trainer (FT), which is able to perform air-to-air and air-to-surface combat missions. The company will also present the multi-mission MC-27J, able to perform search and rescue, maritime surveillance and humanitarian activities, civil protection and Special Forces missions in complex operational scenarios. The aircraft is the ideal solution for tactical transport operations and C3ISR. In the helicopter sector, Leonardo will exhibit its range of products for civil and military applications, including the AW101 medium-lift helicopter in combat, search and rescue (CSAR) configuration, the AW159 for naval operations and a full-scale mock-up of a VIP-configured cabin for the AW609 tiltrotor. The AW609 combines the vertical take-off and landing capabilities of a helicopter with the speed of a turbo-prop. It has been chosen by the UAE’s Joint Aviation Command for search and rescue missions. Regionally, the AW139, AW169 and AW189 have been very successful, with the AW139 having been chosen by Abu Dhabi Aviation, Gulf Helicopters and by the armed forces and governmental agencies of Qatar and Oman. In Saudi Arabia, the AW139 has been chosen for offshore emergency transport and air ambulance tasks, while in the UAE the AW139 is also used for search and rescue and governmental VIP transport. In Abu Dhabi, the AW169 and AW189 are employed by Falcon Aviation for offshore and VIP transport. In the military market, Oman uses Leonardo’s multi-role Super Lynx 300 helicopters, as well as NH-90, AW139 and AW109 Power helicopters for police duties.